Music On Vinyl has done it again and have released another great collection of songs this time from southern rock gods. The album focuses on the entire catalog of the band and alongside the well-known songs, the Collected album also includes lesser known gems. 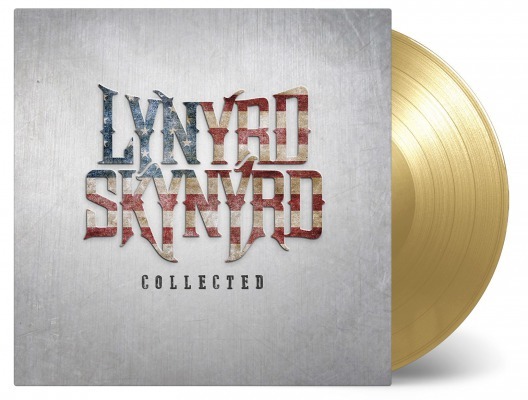 Lynyrd Skynyrd Collected focuses on the entire catalogue of the band and besides their well-known songs this record also includes the hidden gems. The American band Lynyrd Skynyrd became famous by popularizing the Southern rock during the ’70s. With their signature songs “Free Bird” and “Sweet Home Alabama” they were getting worldwide attention. Their list of impressive songs is endless and are all Collected for this double LP. You’ll find classics like “Saturday Night Special” and “Call Me the Breeze” on the album, but also “Need All My Friends” (as Lynard Skynard) and “Don’t Ask No Questions”. Their breakthrough hit “Sweet Home Alabama” helped them to increase the reach of their guitar driven southern rock sound. It was the first of many hit singles and albums, pushing the band higher on the music stage.